As someone who grew up on the Atari 2600 and every system since, I’ve always had a strong belief that video games are so much more than mindless entertainment. There’s so much to learn including: hand-to-eye coordination, puzzle solving and even the very basics of strategizing. As a fairly sedentary activity, though, video games and even basic TV viewing get a bad rap. And that’s why I’m really intrigued by the Genius of Play campaign. The Genius of Play campaign seeks to explore and share the numerous ways that all levels of play can really help children learn and grow. Our mission is to provide families with the information and inspiration they need to make play an important part of their child’s day. Through our website and social media channels, parents can find facts, useful tips and expert advice on how toys and play can help kids build confidence, creativity, critical thinking and other skills that will serve them throughout their lives. Plus, you can get ideas on how to keep playtime fun and fresh! I certainly agree with a number of couples on there, especially the ones that discuss the benefits of learning from a screen. Both my boys have learned how to solve a Rubik’s Cube by watching videos on YouTube. 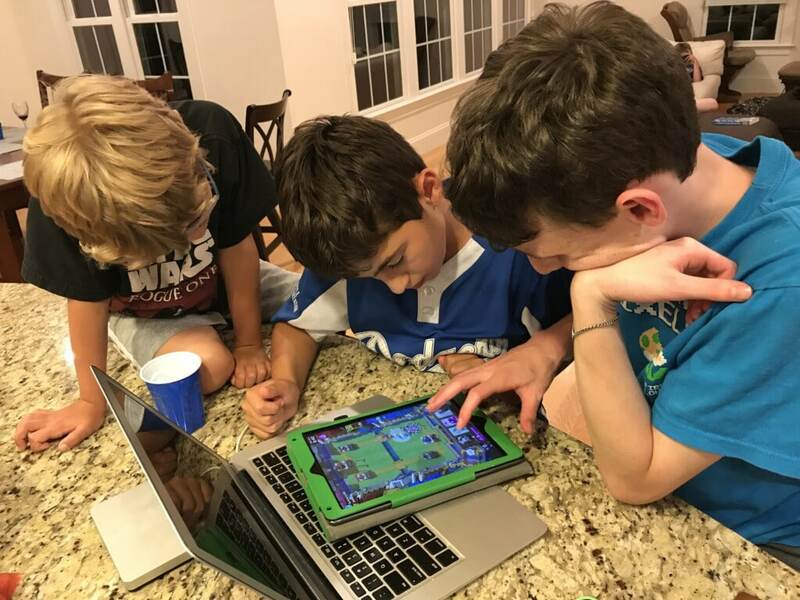 They learn to strategize in various apps by watching video tutorials on how best to set up their armies or bases in apps like Clash of Clans. It’s a different way of learning for sure, but my kids definitely absorb knowledge from what they see on screens, and apply those learnings in other areas. Screens are also a fabulous way for my boys to stay social. 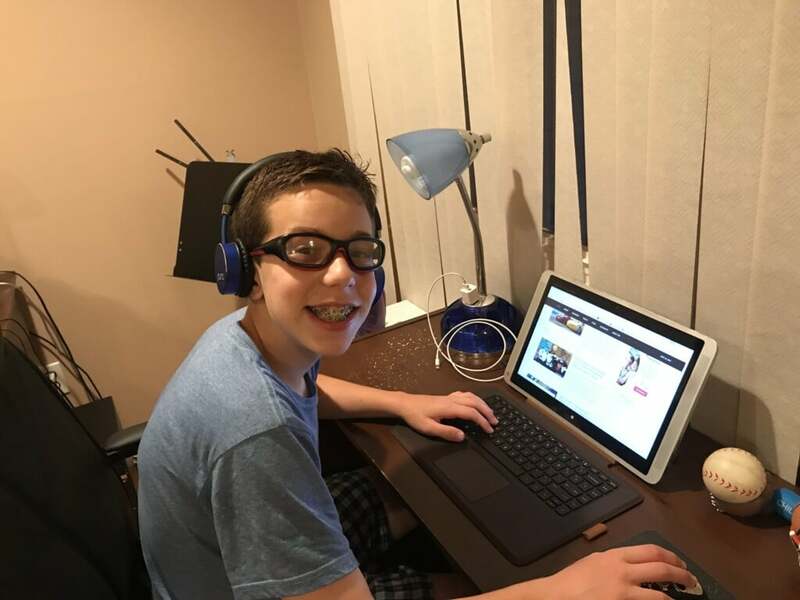 Jason and Ryan both love playing Minecraft online, especially when they can connect with their cousins who live out in Queens. They’ll join in a battle while verbally chatting on a group Skype account. It’s the ultimate online cousins club really and something I sorely missed from my childhood. I spent a lot of time playing video games by myself as a kid, since online play didn’t exist. Screen time is great for socializing. Ryan’s always chatting with friends and family online. As for the parents who talk about screens not letting kids be active, I can understand that angle. I certainly don’t want my boys sitting at their computers like mindless drones, watching video after video and barely moving. It’s one thing to just relax for a bit and watch a show or two. We all do that now. But spending hours upon hours every day without moving just isn’t healthy. I’d same the same argument for sitting and reading a book though. If we see our kids have been sitting quietly at their computers for a lengthy time, we’ll have them switch gears and get up and move around. But in general, there’s a lot of learning that is going on inside their heads while playing video games. It can easily be equated to previous generations. They’re learning new information (like we did reading newspapers), socializing with friends (like we used to do over a rotary phone), and learning how to do things like solve puzzles (like we’d have to do by reading books or asking experts). Additionally, you can use various screens in a physical manner. Ryan loves making movies, so he’ll grab the iPad and walk around the house putting a film together. The same with their iPhones. They enjoy taking pics of anything and everything around them in the great outdoors. Screen time can be active time too. Jason gets in some boxing moves with ARMS on the Nintendo Switch. I haven’t even gotten to the point of things like the Nintendo Wii or Switch systems which have built in an active component. 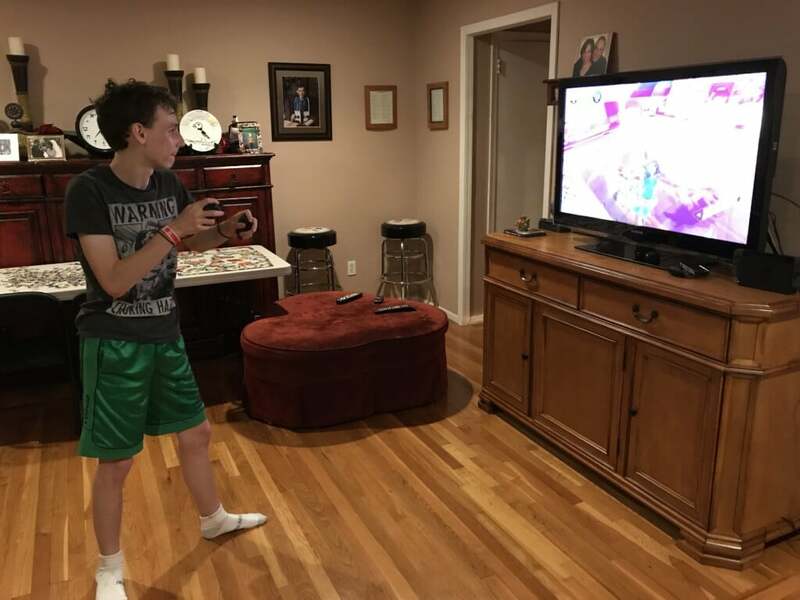 My kids can play a boxing video game and literally need to stand up and punch with their arms to play the game. That most definitely is the perfect marriage of screens, play and being active. Yes, screens definitely get a bad reputation and instead of viewing them as hurtful or a waste of time, I think parents need to take a different approach. View screens simply as a newer medium for learning. Kids can absorb and process that same information they always have been, only now it’s even easier (and more fun!) than ever before. I think this is a struggle for just about every parent. I know I try to keep my son active, especially during the summer, so he’s not staring at a screen all the time. Joining sports is a good way to keep active!